Small key, likely for a padlock. 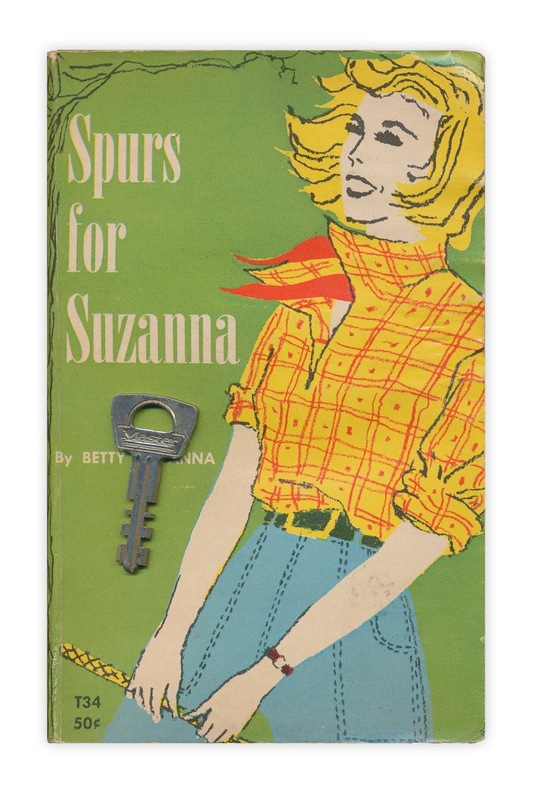 Found in "Spurs for Suzanna" by Betty Cavanna. Published by Scholastic, 1962. The winner of the Seuss tote was Anita Grimm Hohl, who entered on Facebook. I can only imagine how madly the owner searched for that key later.